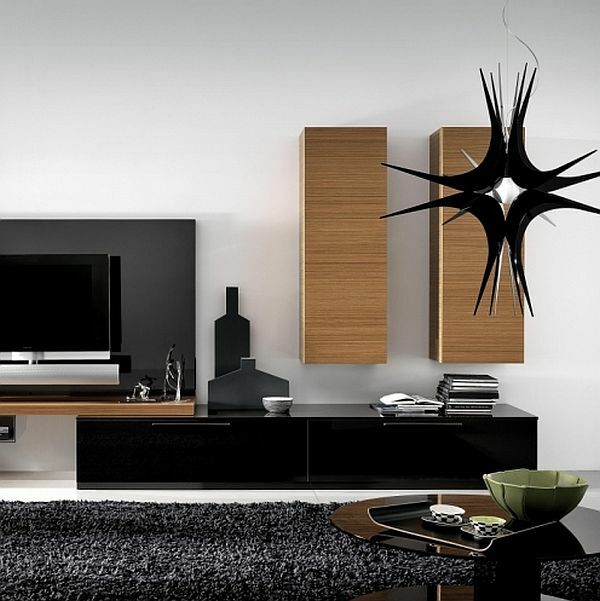 Everyone wishes to display inspired, decorative and welcoming objects in their carefully planned living room. 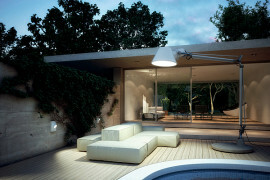 In our modern age, lamps have overcome their purely practical and technical purpose and can help us achieve just this. 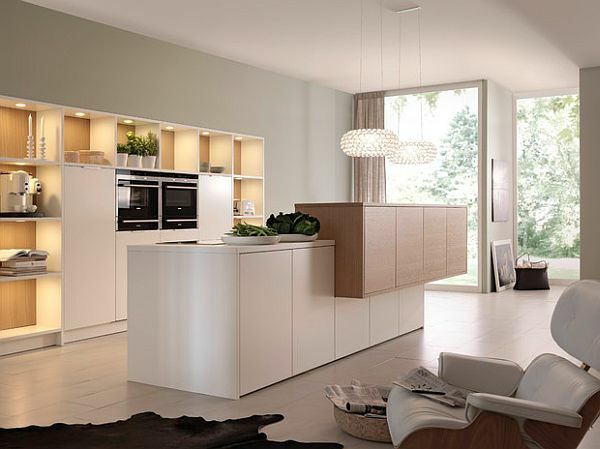 They are visually and effectively a significant part of our everyday life and the design of our home. 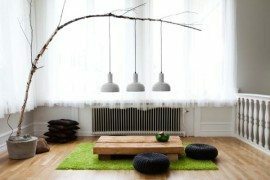 Let’s see some modern pendant lamp designs which can truly make a difference in the living room, some of which have made history. Designed by Poul Henningsen and first created 40 years ago, The PH Artichoke is one of the masterpieces of the house Louis Poulsen. Manufactured in a limited edition of 50, this exquisite pendant lamp is the final and perfected product in a series of variations. If you follow the PH series, you notice that each lamp seems to be a blooming and unfolding sequence, from the smallest lamp variant up to the refined artichoke. It is made from 72 leaves which cover the light source in such manner that one only perceives the reflected light. This gorgeous, golf leaf plated artichoke, with an 840 mm diameter, is an anniversary version that celebrates fine taste, exquisite design and not least, stuffed pockets. 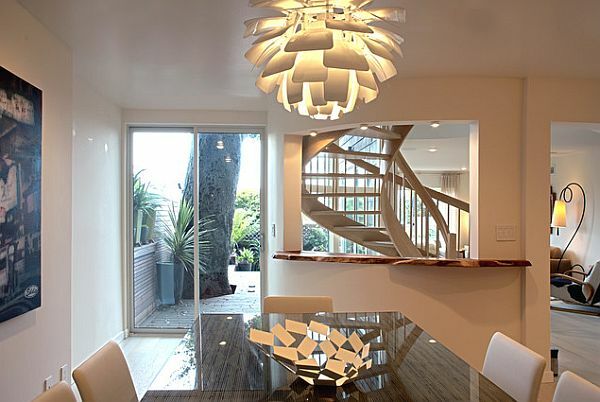 This pendant lamp is bold, wild, temperamental and exciting. 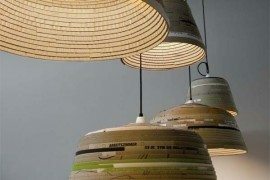 Lampshades with a clipped, scissored aspect have the advantage of filtering the light and creating a sweet shadowplay, in addition to favoring the distribution of some indirect light to the ceiling. Thus, the contrast between the lamp and the surface of the ceiling is diminished. 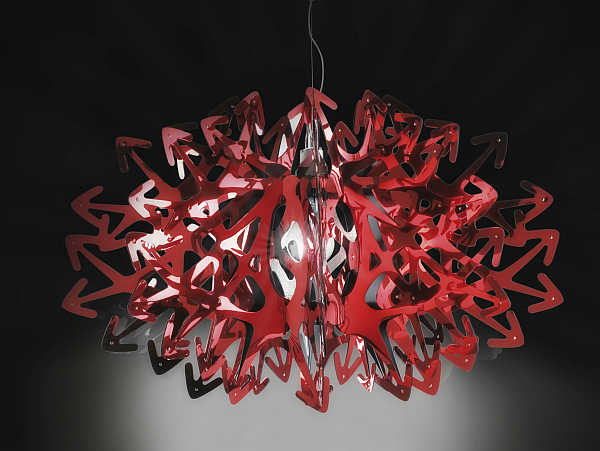 Red and glossy, a funky pendant lamp such as Devil easily finds its place in a modern, retro or punk living room. 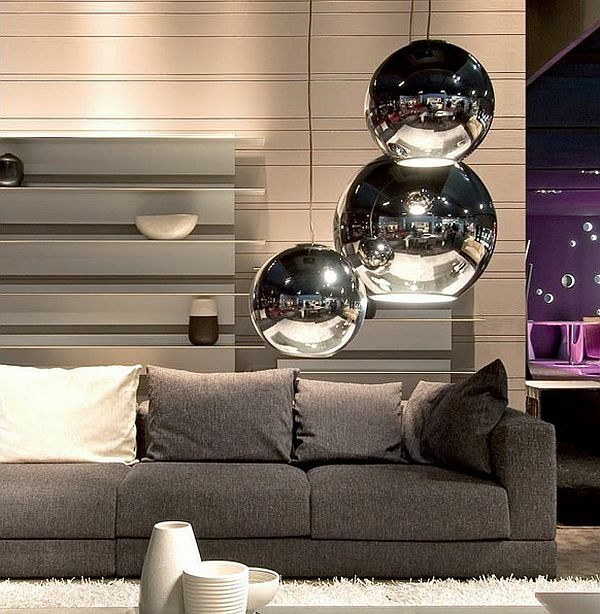 Designed in 1968 by Roberto Menghi, these sleek and shiny globe lamps come in large and medium sizes and in different attractive metallic colors. This makes them suited as single and cluster arrangements. A shiny red globe over the coffee table for a trendy look or, huge silver globes hung at the same height for a sci-fi effect or a few smaller gold globes, falling at different heights toward your glamorous furniture arrangement – the possibilities are numerous. 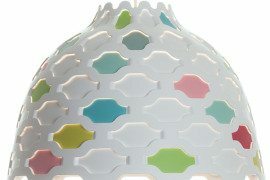 Kundalini Light Design are skilled in their bold use of round, organic geometry in their products. An art piece of Guglielmo Berchicci , the ETA Sat Lamp looks like a huge bulb, somehow tropical, and creates a jolly atmosphere. It is hand-made with ecological resin on a metallic structure with a polycarbonate reflector body. An instant eye-catcher in any style of living room , whether in white, red or discreet yellow. 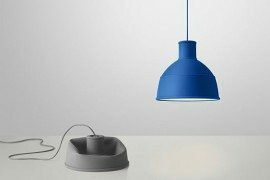 The eccentric German lamp designer is known for his bold and delicate designs and artistic improvisations. 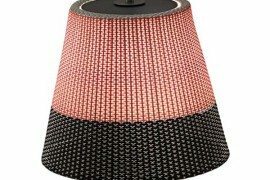 Without being heartwrenchingly expensive, this original designer lamp can add a touch of modernism and glamor to your living room. Simple and geometric, it impresses through texture and light effect. The light source is enveloped by shades covered with actual 24 karat gold leaves. A bit of optical physics has gone into this design, in addition to the glam. The gold is hand-finished to be so thin as to permit the short-wave blue light to pervade through it, while the warm light components are reflected on the inner side of the lamp shades. That is why the light source appears a gentle blue through the shades, while the inside of the shades is covered in a deep golden shine. 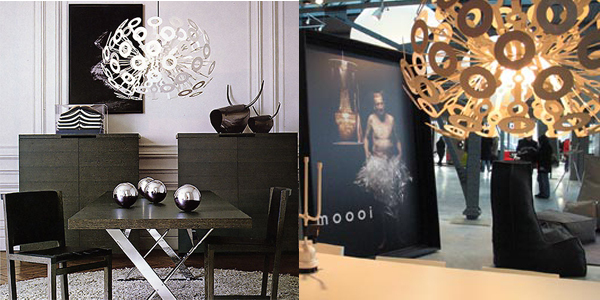 One of my personal favorites, the pendant lamp Dandelion was designed by Richard Hutten, in 2004. Its technical details read as intricate design of laser-cut steel with white powder coat finish, but the result is endless, ethereal and feminine poetry. As weightless as the flower it received its name from, Dandelion pendant lamp filters the light through the pure and geometric ‘petal’ elements and provides direct and ambient illumination for a optimal effect. At first sight, it may be somewhat pretentious, but it can work wonders in the right color scheme. 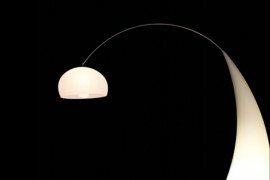 What its designers say about this lamp: “True to its name, Dandelion was initially inspired by the plant the creates the famous and poetic ‘dandelion snow’ of fuzzy, cotton-like seeds when a gush of wind blows on it. 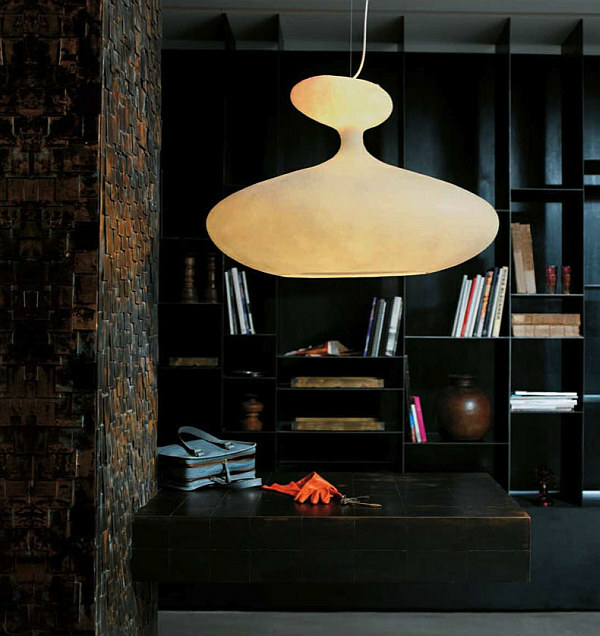 A design piece by Patricia Urquiola and Eliana Gerotto of the tradition-rich manufacturer Foscarini. 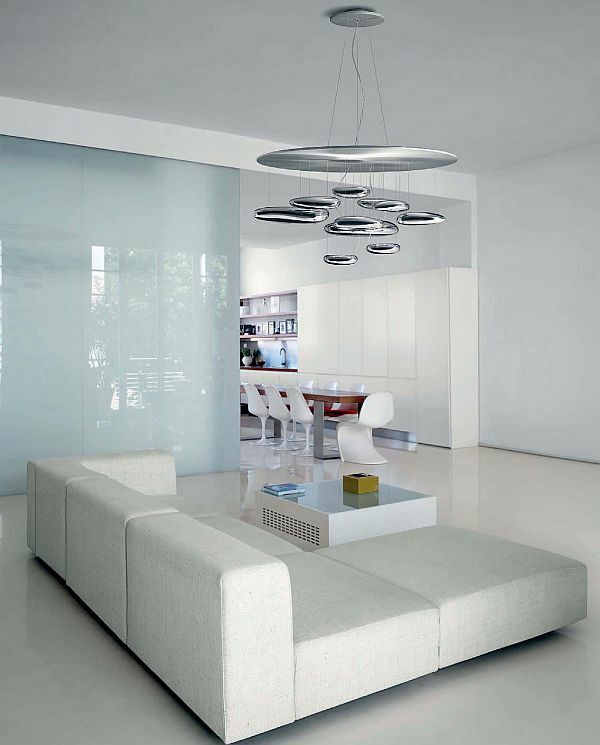 For connoisseurs already a beloved modern classic, the Caboche pendant lamp needs a living room that is able to celebrate it. Glamorous and extravagant, it reminds of the glassblowing tradition of its home town Venice. 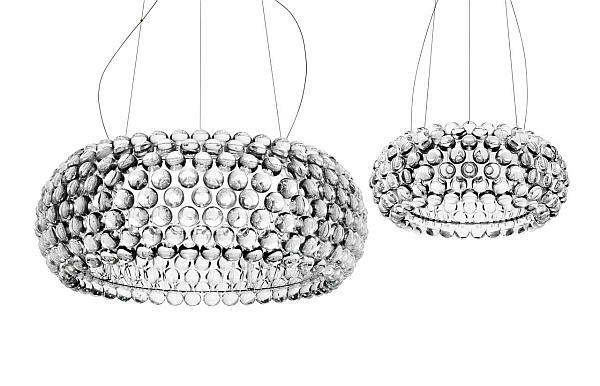 Glamorous and extravagant, it comes in clear and gold colors and in pendant, floor and wall lamp versions. The light is filtered through a precious shade of reflecting and refracting mouth-blown glass and polymethylmethacrylate beads to create subtle and intricate models on the walls. Designed by Francesco Giannattasio for the company Lumen Center Italia, this delicate and feminine lamp is not ridiculously expensive and easily finds its place in a modern, a minimalist or a vintage-inspired living room that is defined by one condition: the love of detail. The diffuse light is partly filtered through the epoxy lacquered metal frame whose shape reminds of stars. This decorative frame, in spite of being made of metal, seems delicate, airy and origami-like. It is available in glossy black, white, red or chartreuse green. This lamp is suitable to be hung as a cluster, at varying heights, in one larger and one smaller version in the same color or 2 different colors according to your design scheme, and makes a lovely and original impression. This is one of the most sci-fi and intricate lamps you can imagine, but no less can be expected of sacred monster Artemide. 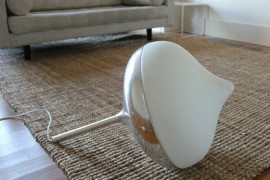 There is a debate about how much usable light this lamp actually gives, but it is a spectacle for the eyes and that is also the reason it is bought at its painfully high price. 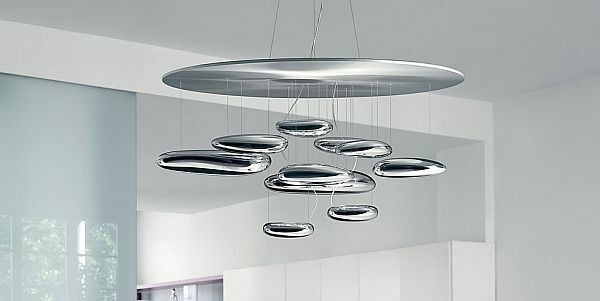 Designed by Ross Lovegrove, it is similar to a mobile crafted from sleek and shiny metal pieces. The lamps are encased in the sleek aluminum rock-shaped elements that are stylized dew drops suspended in mid-air under an upside down pond lily leaf. 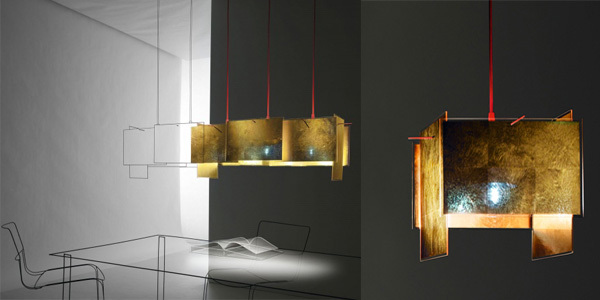 The shape of this unique lighting artwork can be interpreted in many ways. It is mostly decorative, since its light emission is not direct, but purely ambiental, reflected on the large aluminum disk. Designed by Louise Campbell for lighting company Louis Poulsen, the Collage pendant lamp is feminine by definition. 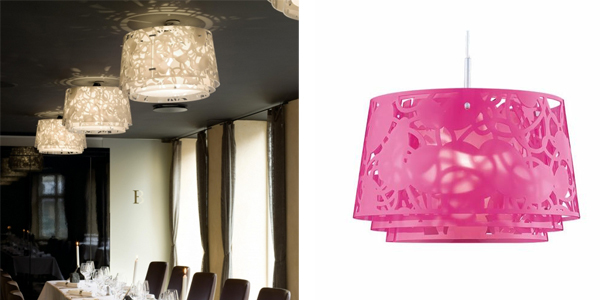 The light source itself is concealed and shines diffusely through 3 layers made from laser cut acrylic layers. 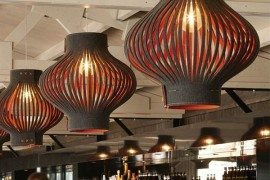 The vine and strand shaped cutouts make up an elegant and highly decorative pattern and filter a diffuse glow through and also allow for indirect light on the ceiling. It is a beautiful and versatile lamp, whether pink and trendy in the hotlips version, funky in the juicy orange version, ethereal and minimal in snow white, fresh and vivid in lemon yellow or timelessly elegant in the smoke-tinted version. 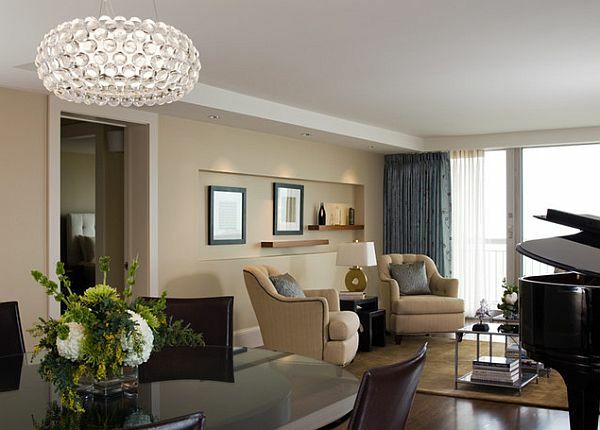 So, which one is your favorite pendant lamp for the living room?